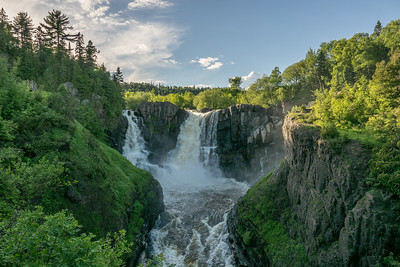 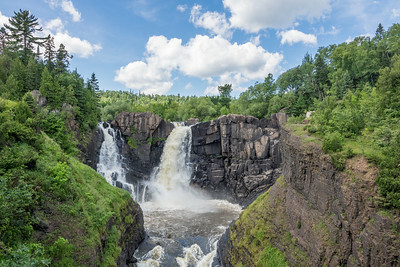 The Pigeon River forms the northern boundary of the Grand Portage Reservation and is also the border between the U.S. and Canada. 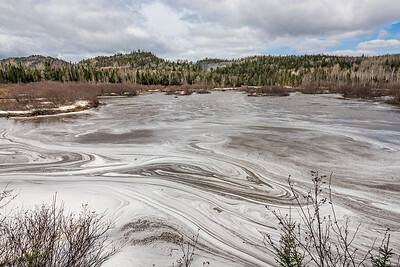 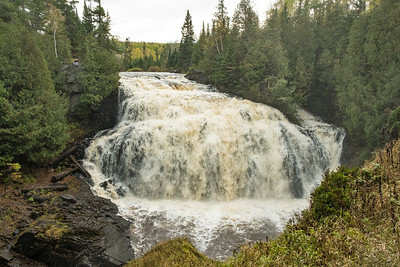 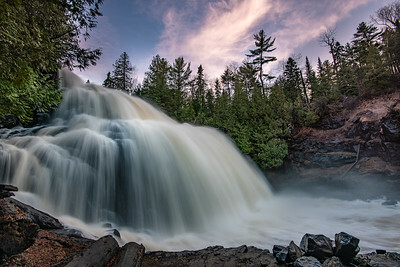 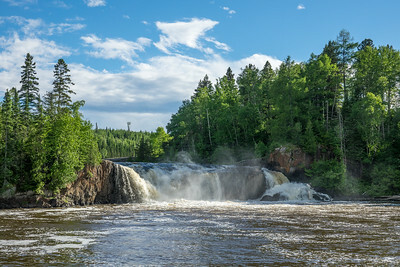 The river is the largest stream along Minnesota's north shore, and drains a total of 610 square miles flowing eastward approximately 30 miles from its source at South Fowl Lake on the edge of the Boundary Waters Canoe Area Wilderness. 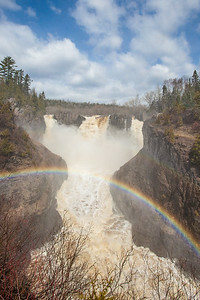 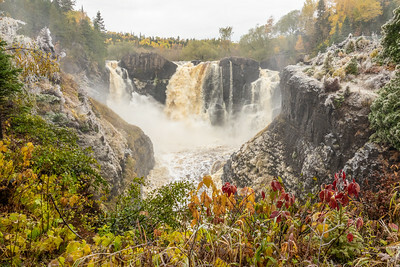 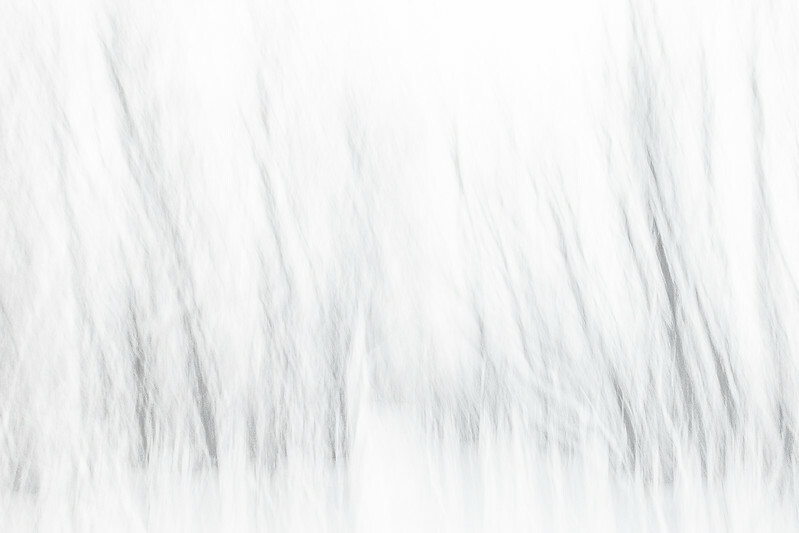 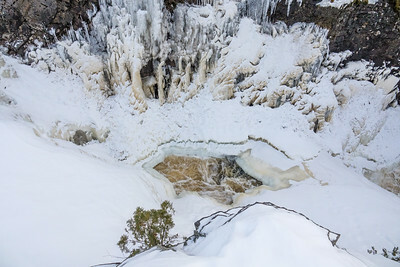 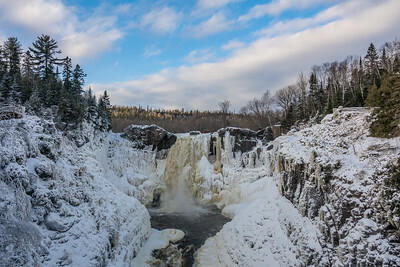 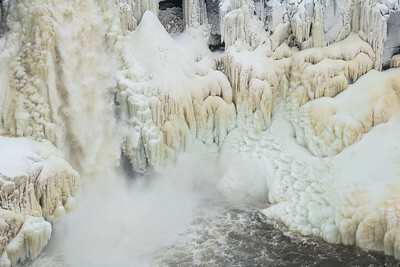 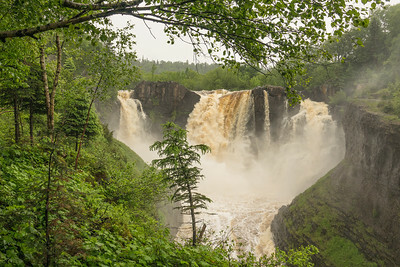 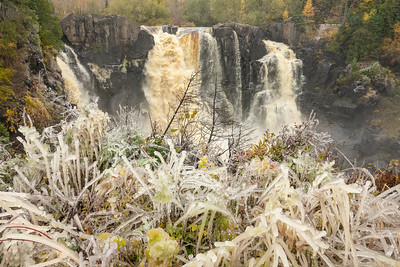 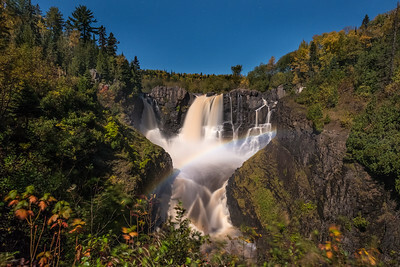 This gallery includes images taken within Grand Portage State Park, which has about 13,000 feet of river frontage within its boundaries. 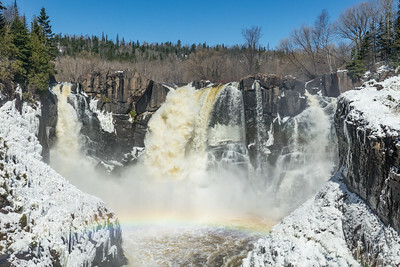 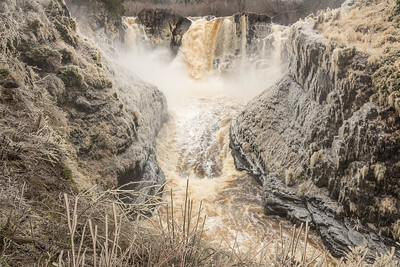 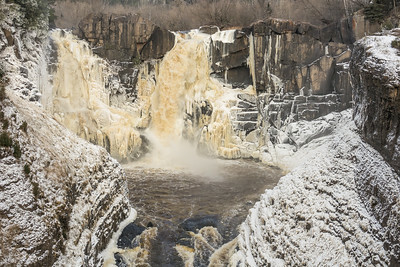 "Spring Sunset on the Pigeon River"
"Spring Sunset over Partridge Falls"
"Summer Day at High Falls"
"Blizzard on the Pigeon River Gorge"
"Snow Day at High Falls!" 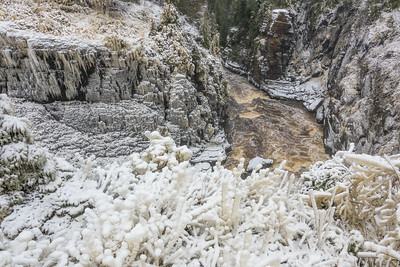 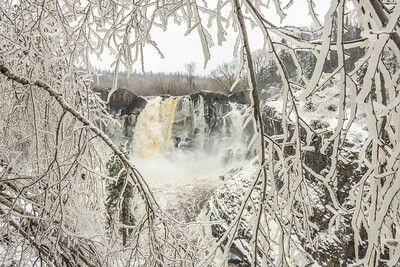 "Merry Christmas from High Falls of the Pigeon River!" 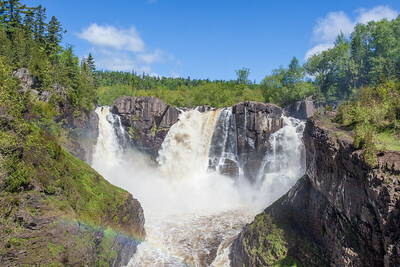 PIGEON RIVER 0384 "Partridge Falls"
PIGEON RIVER 0346 "Partridge Falls"
PIGEON RIVER 04884 "August at High Falls" Grand Portage State Park, MN - Minnesota's tallest waterfall never disappoints, no matter what time of year or what the water level is. 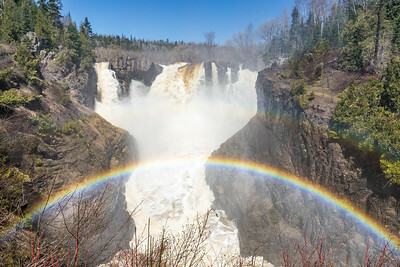 It's always an impressive sight! 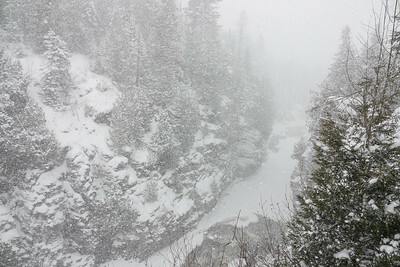 PIGEON RIVER 01331 "Peering down into the Cascades gorge"
PIGEON RIVER 01337 "Winter Evening at The Cascades"
PIGEON RIVER 04203 "High Falls - Freezing Up!" 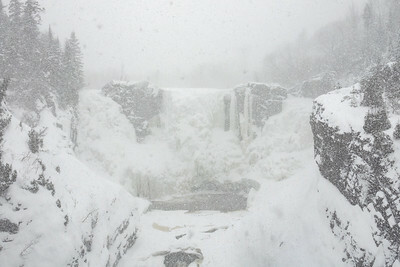 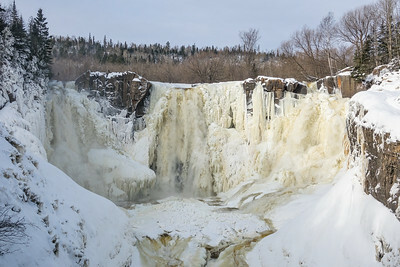 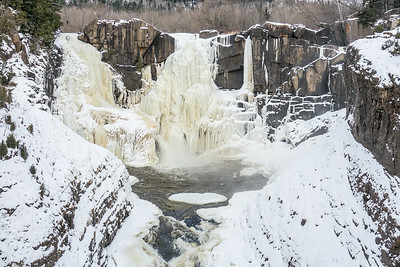 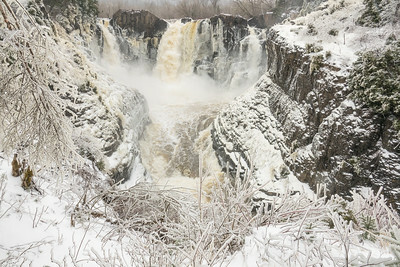 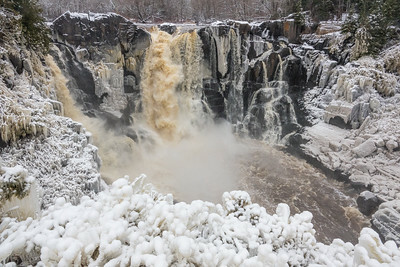 December 22, 2016 - Here is what High Falls of the Pigeon River in Grand Portage State Park currently looks like. 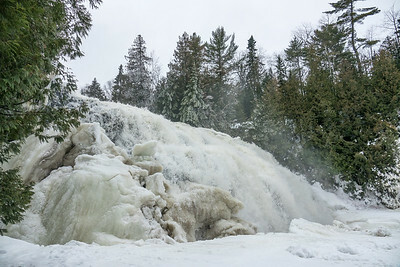 There has been a lot of ice development on the waterfall thanks to the week of very cold temperatures we just had. 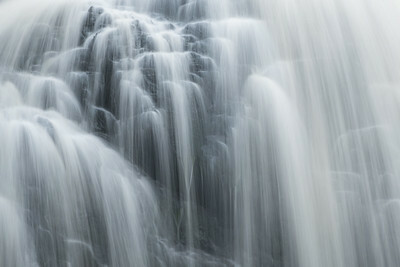 There is, however, still one large channel of running water right in the middle of the waterfall. 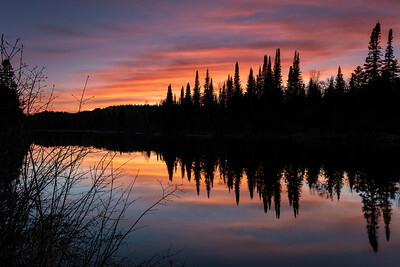 This photo was taken late in the day just as the sun was setting to the west (the view here is looking north). 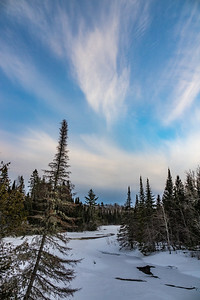 I really liked the clouds on this day and the way they mirrored the angle of the line of trees on the right side of the photo.